Idelber Avelar is a Full Professor specialized in contemporary Latin American fiction, literary theory, and Cultural Studies at Tulane University. He received his Ph.D. from Duke University in 1996 and joined Tulane in 1999. His latest books are Figuras da Violência: Ensaios sobre Ética, Narrativa e Música Popular(UFMG, 2011) and, coedited with Christopher Dunn, Brazilian Popular Music and Citizenship(Duke UP, 2011). 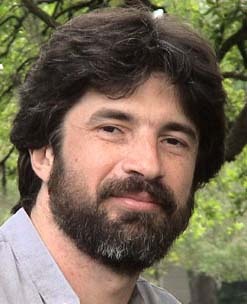 He is also the author of The Letter of Violence: Essays on Narrative, Ethics, and Politics (Palgrave, 2004) and The Untimely Present: Postdictatorial Latin American Fiction and the Task of Mourning (Duke UP, 1999), winner of the MLA Kovacs prize and translated into Spanish and Portuguese. He has also published over 60 articles in scholarly journals and edited volumes, and over 100 position pieces in Latin American print and electronic media. He was the winner of the Brazilian Foreign Ministry essay contest on Machado de Assis and has been the recipient of Rockefeller, Hewlett, and Ford Foundation grants. He has been a guest lecturer in 15 countries and dozens of US institutions of higher learning, including Yale, Brown, Princeton, Stanford, Duke, NYU, Berkeley, Columbia, and the Universities of Michigan, Pittsburgh, Illinois, North Carolina, Texas, and New Mexico, among others. He is currently working on a book on masculinity in Latin American literature, for which he was awarded an ACLS fellowship in 2011.